Tipu’s Drop is popular tourist attraction in Nandi Hills. It is 600 m high cliff situated on the Hills. It is said that the prisoners who were sentenced to death were thrown down off this cliff. The cliff offers beautiful views of the city. Nandi temple is place of worship located at the foothills of Nandi Hills. Built by Kempe Gowda, a local ruler during Vijayanagara Kings the temple has many beautiful pillars and attractive metal works. It is believed that Nandi Hills has derived its name from this temple. Yoganandeeshwara Temple is another place of worship in Nandi Hills. The temple was established by Cholas and is perched on the top of the hill. The temple has beautiful structure and architecture. Brahmashram is another place of interest near Nandi Hills. It is beautiful and attractive cave. The place is believed to be meditating place of sage Ramkrishana Paramhansa who was one of the greatest devotee of Goddess Kali. Cool weather near the cave attracts many tourists. 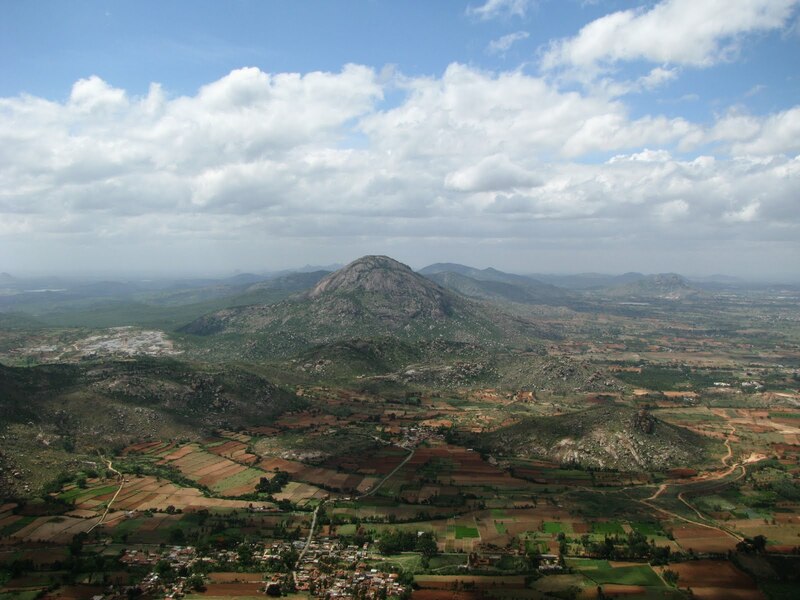 Nandi Hills is well linked by road to other parts of the state and the country. Many state run buses and other private vehicles are available from Nadigarama, Bangalore, Chikkaballapur and other cities and towns of the state and the country. Chikkaballapur railway station serves nearest rail head to Nandi Hills. The railway station is well connected to other cities and towns of the state and the country. Bangalore International Airport is closest airbase to Nandi Hills and it is well linked by several flights to other major cities of India and other countries.